LOCATION! LOCATION! LOCATION! ACROSS FROM DAWN LAKE IN THE HEART OF SUN CITY. 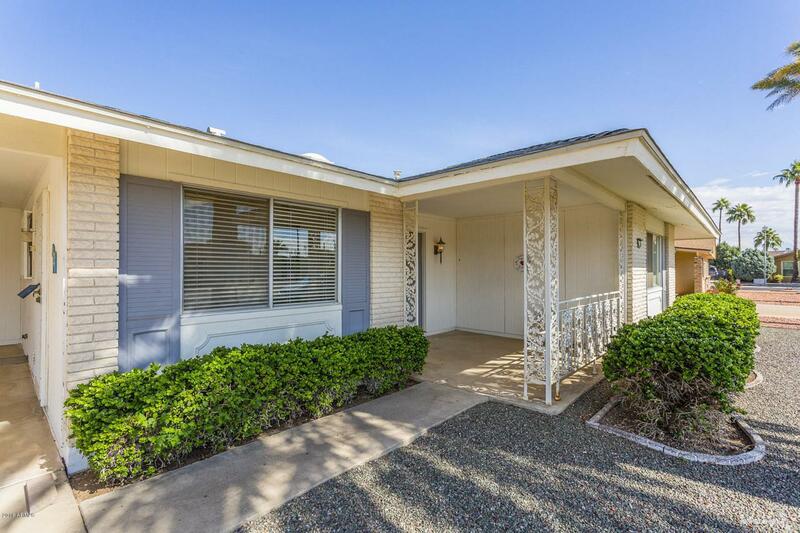 POPULAR 2BR/1.75BTH COCONINO MODEL! GREAT HOME TO ADD A 3RD BEDROOM/DEN WHERE EXISTING UTILITY ROOM IS. INVITING FORMAL ENTRANCE. 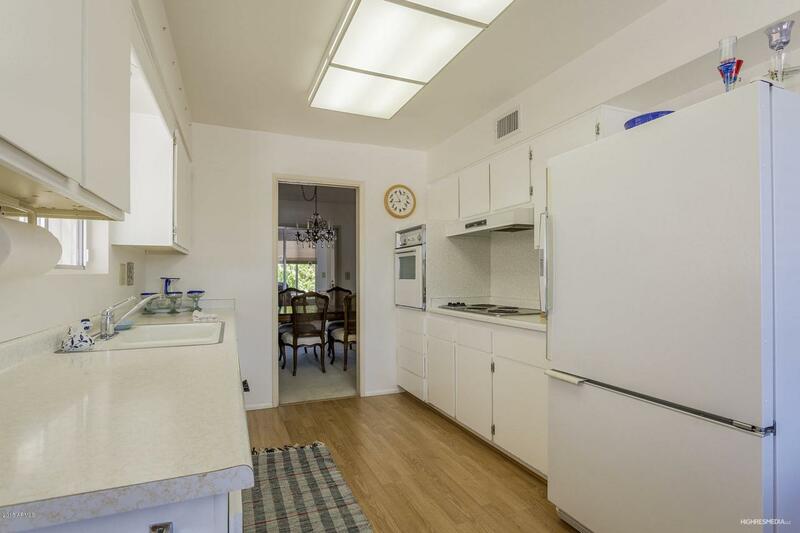 BRIGHT KITCHEN INCLUDES WHITE APPLIANCES, PANTRY, AND EATING AREA. LIVING/DINING AREA W/ SKYLIGHTS. ARIZONA ROOM TOO. 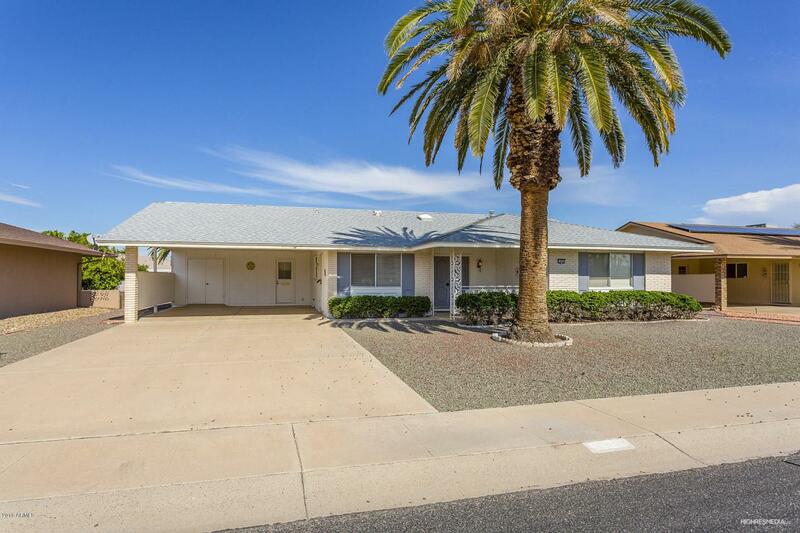 NORTH/SOUTH EXPOSURE W/ COVERED PATIO, OPEN PATIO, AND CITRUS TREES. 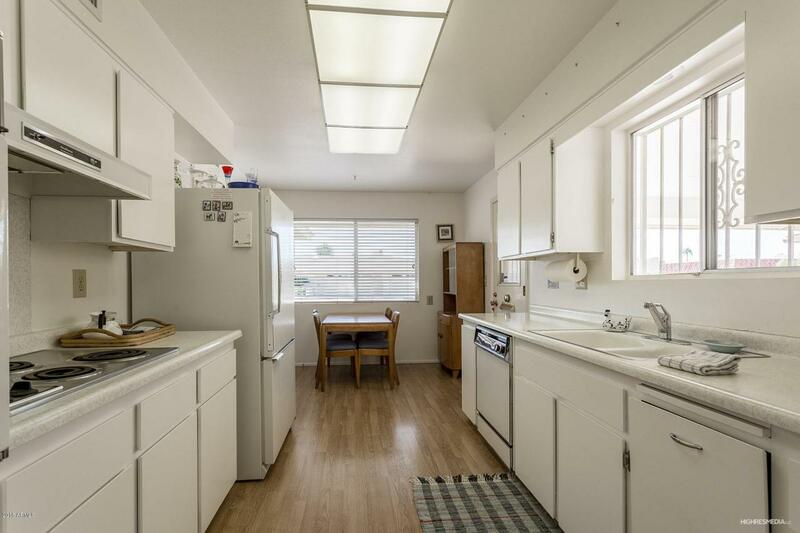 2 CAR CARPORT W/ LARGE UTILITY ROOM, WHICH INCLUDES WASHER/DRYER, STORAGE CABINETS, AND SPACE FOR GOLF CART. ROOF-'04, A/C/HEAT-'14. FURNITURE AVAILABLE BY SEPARATE BILL OF SALE. Cross Street Cameo & 103Rd Ave.